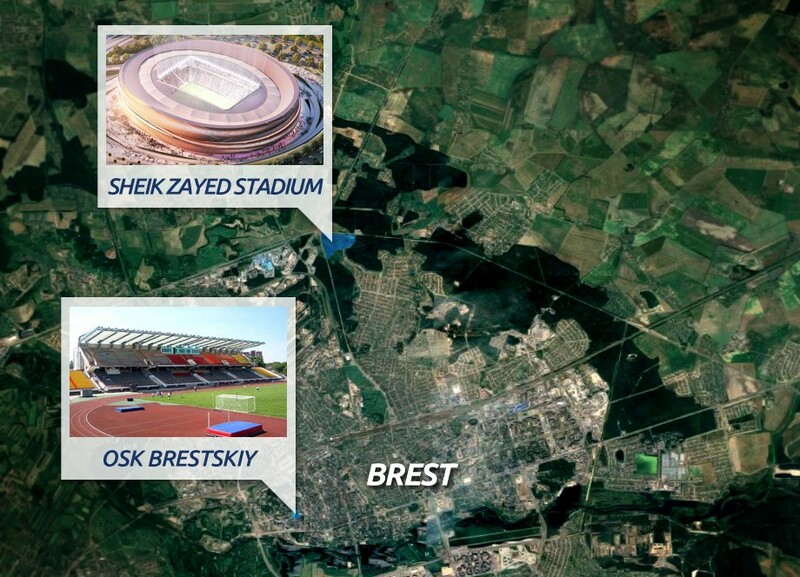 They said Dynamo Brest was getting a stadium named after Sheikh Zayed, now we know how it might look. It seems investors from UAE are determined to build a football powerhouse just beside the Polish border. Back in May we wrote that the municipal stadium in Brest, Belarus, was about to be expanded to 30,000 and renamed to honour sheikh Zayed Bin Sultan Al Nahyan of the United Arab Emirates. It turns out there was a mistake in translation from Arabic to Belarusian and the plan was to build a brand new stadium of 30,000 rather than redo the current one. 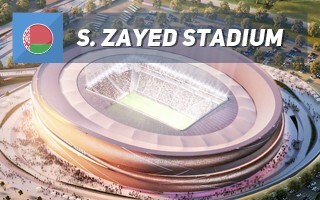 Which is still the least amazing piece of that news, because UAE stadium in Belarus and the project being co-ran by Diego Maradona is already quite a mix. Financed from the United Arab Emirates, this complex would be built beside the M1 ring-road of Brest. It's expected to become the new home for Dynamo Brest, club acquired by UAE capital. 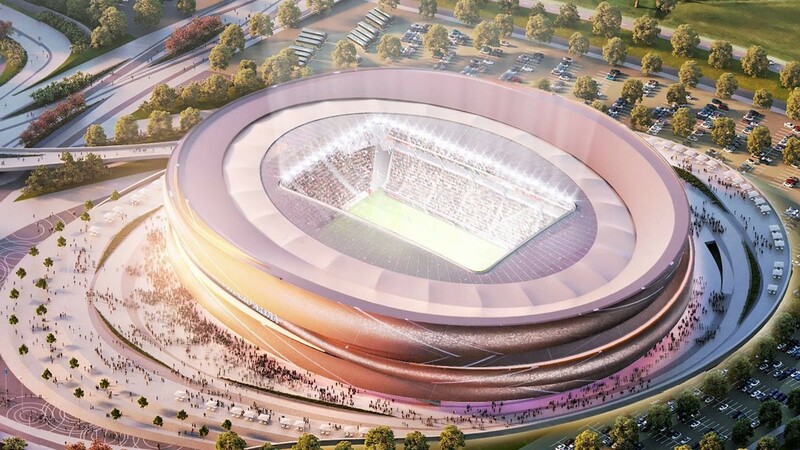 The main concept is for the area to resemble a galaxy from above, with all secondary uses circulating around the central point: 30,000-capacity main stadium. All that would be built beside the northern ring-road of Brest (M1), in possibly the best place for such development. 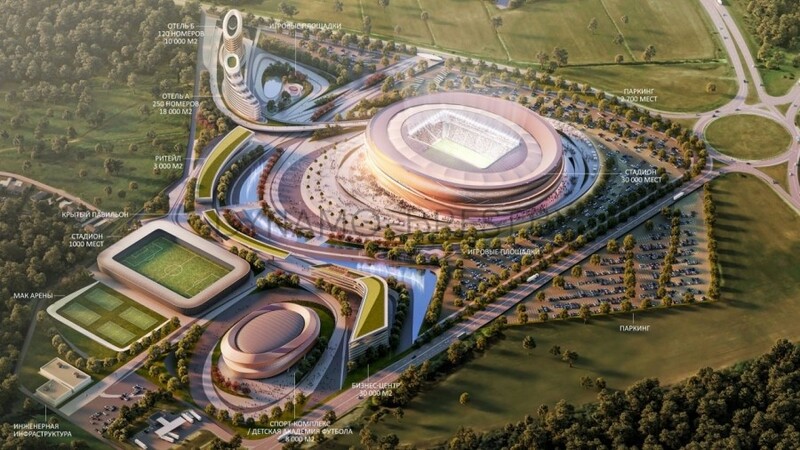 Aside from the large stadium, the project includes creation of two hotels (180+250 rooms, 28,000 m2 combined), commercial centre (3,000 m2), office building (30,000 m2) and Maradona's training academy with a 1,000-seat stadium. All these uses would be connected with carefully landscaped recreational areas and parking sufficient to accommodate 2,200 cars.